Home Thyroid Cancer Lump Or Nodule In The Neck Can Cause Thyroid Cancer! Lump Or Nodule In The Neck Can Cause Thyroid Cancer! 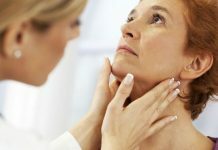 As a women, you should be very careful than men in case of thyroid cancer because this is more common in women than men, and very rare in children. Here’s a short description on its occurrence, symptoms and the most common type of papillary thyroid cancer. The occurrence of thyroid cancer is illustrated according to the statistics available. In the U.S there are now more than 20,700 patients living with thyroid cancer and incidence has increased by over 20% in the last 5 years. Approximately 1,650 people in the UK are diagnosed with thyroid cancer each year. It is a rare cancer that usually affects middle-aged and older people. However, one type of thyroid cancer (papillary) can occur in younger people. So Many! Yes, there are four main different types of thyroid cancer. Papillary thyroid cancer is the most common type. By examining cells from the cancer, your doctor will be able to tell which type you have. 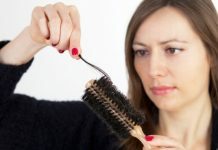 This gives information about the best type of treatment for you. Experience a lump or nodule that can be felt in the neck. This is the most common symptom. Other symptoms are rare. Pain is seldom an early warning sign of thyroid cancer. However, a few patients have a full or tight feeling in the neck, difficulty breathing or swallowing, swollen lymph nodes or hoarseness. Please note that these symptoms can be caused by this disease or by other, less serious problems. If a person is experiencing symptoms, a doctor should be consulted immediately to avoid any further complications. Treatment! There are various treatment options available for this disease. Planning treatment initially, this is the main first step which is decided according to the stage of the cancer and patient condition, analyzing the benefits and disadvantages of treatment. Treatment may include surgery, whole-body radioisotope scanning, thyroid hormone replacement, internal radiotherapy, external radiotherapy and chemotherapy. Now let’s look into the most common type the papillary thyroid cancer. Papillary thyroid cancer tumors develop in cells that produce thyroid hormones containing iodine. The cancer cells, which grow very slowly, form many tiny, mushroom-shaped patterns in the tumor. Doctors usually can treat these tumors successfully, even when cells from the tumor have spread to nearby lymph nodes. Sounds Good! Papillary thyroid cancer tumors account for about 60 percent of all thyroid cancers. Research! Scientists are studying its causes. They are also looking for better ways to detect, diagnose, and treat this disease. Because of research, people with this disease can look forward to a better quality of life and less chance of dying from the disease. Women at high Risk! Doctors do not know what causes most cases of this disease. However, scientists have observed this occurs more frequently in whites than in blacks and affects women two to three times as often as men. 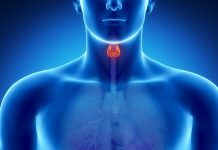 Scientists do not fully understand the reasons for this type of behavior but they continue to study thyroid cancer to try to learn what may increase a person’s risk for this disease. Caution! One known risk factor is exposure to radiation during childhood. 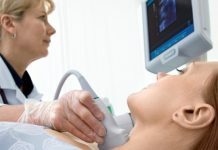 Research has shown that thyroid cancer patients face a significantly increased risk of developing a second primary cancer, and that risk is highest in the first year after its diagnosis. So hope you had an informational reading. Previous articleFight Back Breast Cancer With Healthy Breast Cancer Diet! Next articleColon Cancer Statistics And Survival Rates!